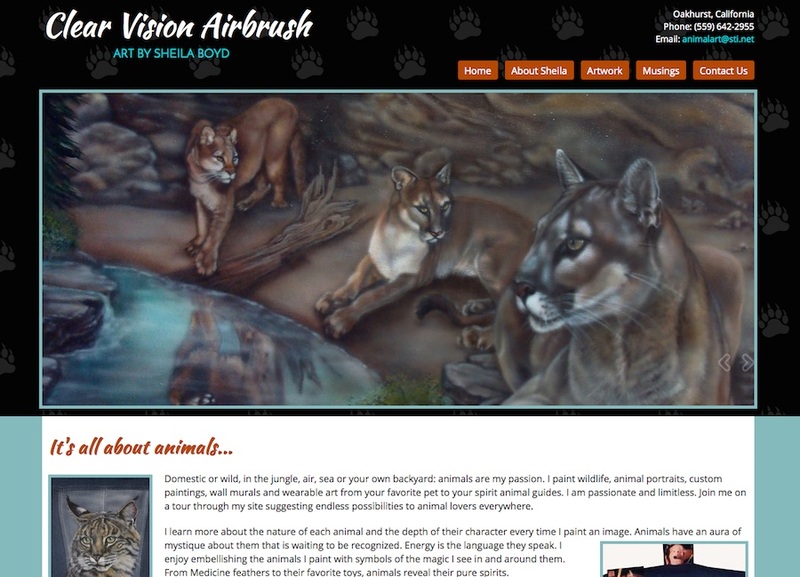 ClearVision Airbrush is a portfolio site for Oakhurst artist, Sheila Boyd. It features her airbrush work on interiors, murals, canvas, clothing and people! We redesigned her site on the WordPress framework to incorporate Sheila’s favorite colors and love for animals.